Cisco has renewed its strategy to aggressively pursue growth across the small to medium-sized business (SMB) markets in Australia and New Zealand (A/NZ), driven through a tailored portfolio of products through Cisco Start. The portfolio includes Cisco Meraki, Umbrella and WebEx, aiming to provide SMBs with enterprise-grade technologies on a pay-as-you-grow consumption model. In short, the tech giant hopes to address the challenges SMBs face as they embark on digital transformation strategies, with a specific focus around security, collaboration, mobile and cloud. "From a Cisco perspective, it hinges on us to bring enterprise capabilities into a form factor, accessibility and usability that small business can activate and adopt," said Ken Boal, vice president of A/NZ at Cisco. "We’re going big on SMB by making it simple, smart and secure." Specific to Australia, Cisco currently services about 50,000 SMBs nationwide, and will continue to ramp up investments into different routes to market in a bid to reach more than two million customers within this segment. To achieve such growth, this will involve four key areas spanning SMB value-add resellers and system integrators; managed service providers including telco providers; a digital marketplace and alternate channels such as retail. "SMB is a diverse market," added Nykaj Nair, head of distribution, channels and SMB A/NZ at Cisco. "In the last 12 months, we have trained and enabled in excess of 1000 resellers and system integrators that focus on SMB. "In turn, they’ve build trust with their customers and as a result, we’ve been able to reach more than 50,000 SMB customers. When speaking to ARN, Nair explained that the alternate channels focus involved partners such as JB Hi-Fi Solutions. "They provide telecommunications and retail services to many small businesses," Nair added. "We partnered with them to see if we could reach thousands of SMBs under their management and we built a catalogue of services with them." An example Nair highlighted was the Victorian Farmers Federation, which was searching for a communication and collaboration platform to interact with members which operated in remote and regional areas. "Leveraging Cisco Start and the collaboration technology within that portfolio, they can now connect employees with its member base, which has allowed for rich communication and showed what IT can do to further farmer productivity," Nair said. In addition, the vendor is also investing in its own Cisco Start Marketplace in Australia, which is currently in pilot mode and will be driven in collaboration with channel partners. According to Nair, Cisco is also participating in public marketplaces such as Amazon Web Services (AWS) and within partner-led marketplaces such as Telstra. "The marketplace will provide us with the ability to communicate, engage, and nurture customers, and when they are on the marketplace, they can engage with partners for procurement," Nair added. So far, seven partners are involved in the pilot phase including R1i, Computer Merchants, Ucomm, JB Hi-Fi Solutions, Partner Wholesale Networks, Gcomm and Kytec. Looking ahead, Nair said Cisco will be extending the roll-out to include other managed services providers once it moves beyond the first stages of the pilot phase. 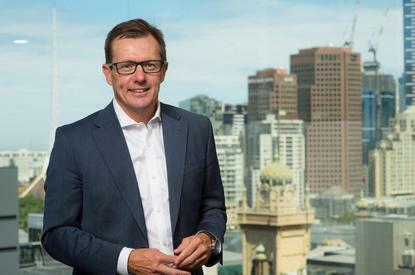 During the past 18 months, Boal said Cisco experienced significant growth within the SMB segment, which previously represented about nine per cent of the vendor's business in A/NZ, before increasing to around 13 per cent. Cisco in Australia, experienced a $1.9 billion turnover in 2017. "We have an aspiration to grow that to 20 per cent and beyond," Boal added. "We have expectations that SMB market will grow at least $50 million per annum." Boal said Cisco has addressed some of the challenges that impeded the vendor's SMB success in the past through having the right technology, simplicity and strategy within its platform. Specific acquisitions such as Meraki, OpenDNS and Broadsoft have also helped the networking giant substantially tap into the SMB sector, which Cisco defines as up to 250 seats. "We’ve had a few attempts at this in previous generations at Cisco, and we’ve been a bit in and out of SMB," Boal added. "I was a bit sceptical about our technology, fit for purpose, our channel and how big and material this opportunity could be for us. "But over the last 18 months, I’ve moved from scepticism to intense curiosity, to passion about what is going on with small business in Australia; and opportunities for digital and Cisco in Australia. We’re already on a great trajectory and seeing some great success."